People who own smartphones and tablets tend to communicate a lot through texting. But with mobile carriers charging their users around $20 to $30 a month for text messaging plans, this is a habit that can be quite expensive. 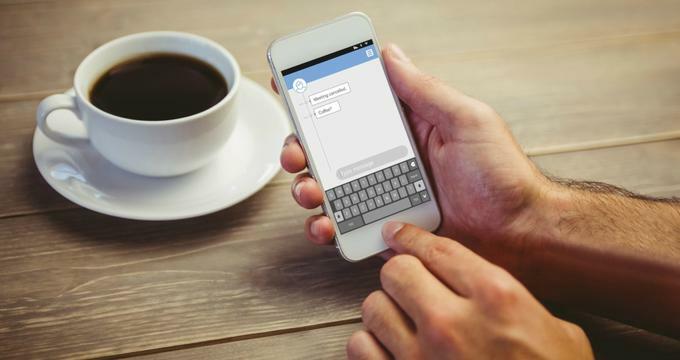 Thankfully, there’s a good number of free apps that let you do text messaging between Android tablets and smartphones for free, allowing them to satisfy their text messaging needs without having to burn through their pockets. Viberis perhaps one of the most popular and well-known free texting apps out there. It allows you to send texts as well as make video and voice calls to other people on the app. The app uses your own mobile number, so you don’t have to get a new one or create a special account for it, and you can even easily invite or find your friends on the app through their own numbers as well. Aside from the fun emojis and other nice chat features, Viber is attractive to users simply because the app tries its best to be free of ads as much as possible. Text Me! Is an app that allows free SMS messaging (including group texting) to over 40 countries including U.S., Mexico, and Canada. If you share this with your friends, you can even get to share free calls and video chats with them through the app. Text Me! Also lets users accumulate calling minutes by watching sponsor videos and ads. The app also enables you send and receive all kinds and sizes of files and video. The app also lets you log in to Facebook. The next one is KakaoTalk, which is an app that actually offers more than just free texting. Not only does it let you have group calling, free video calling, and chat rooms, users get free celebrity updates and content as well. This fully customizable app also supports 12 languages, so it’s something that can be used in most parts of the world. Make sure to have fun with KakaoTalk’s other features, such as games, voice filters, file sharing, and even the use of animated emoticons for a livelier chatting and texting experience all over the world. HeyWire gives users a free U.S. phone number and allows them to text people without having to pay for a monthly subscription. The app also enables its users to send text messages and even pictures to phone numbers from 45 different countries. The good thing about this app is that it doesn’t need other people to have HeyWire accounts of their own. This, among other reasons, is what makes HeyWire one of the top-rated free texting apps on all smartphones and tablets that run on Android. Take text messaging, two-way radio, voice calling, video chatting, and social networking features into one free Android app and you get Tango, the app that has over 100 million users worldwide and has an excellent reputation that’s all thanks to its user-friendly interface and great call quality. The app also features games, filters, fun animations, and even Tango eCards, which users can send to their family and friends. Because of its complete set of features all rolled into one easy-to-use app, Tango sets itself apart from the competition. If you’re based in the U.S. or Canada, you might want to consider Pinger for Android. It’s a great app that not only lets your text and call phones from within those countries for free, but lets you contact landline numbers as well. Users get free and unlimited texting and inbound calling while they have the chance to earn minutes for outbound calls. All this can be done with the app even without the use of a carrier or mobile plan. The only thing about this app is that it does have a lot of ads, because that’s how it keeps its services free. An app called textPlus lets users do free SMS texting to any U.S. or Canada-based phone number. If you want to do international and local calls, they offer them at a cheaper rate. Calling another textPlus user, however, is free of charge. This is an app that many travelers rely on to save a lot of money while keeping in touch with others, even when they’re traveling. All they need is a Wi-Fi or data connection and they can use their smartphone or tablet to contact people via textPlus anytime. Comm users can not only text their fellow app users, they can also have fun sharing cute stickers and emoticons with them as well. Just like Viber, this app integrates your original mobile number for your convenience, with the added benefit of keeping it hidden from other users you contact. It’s a pretty decent app for chatting with people as well. Finally, TextFree is perhaps one of the simplest free texting apps out there for Android users. You get to enjoy the benefits of free text messaging without all the complex features that come with other apps. You don’t even need your other friends to have TextFree for sending or receiving messages. If you want something that’s incredible simple and easy to use, then TextFree is the way to go. There are a lot of other apps out there, but these should be your go-to apps for Android if you don’t have anything specific in mind. All you need is to do is go to the Google Play Store and download the one you want, and you’ll be free from having to pay monthly texting bills forever. While free apps can be suspicious sometimes, don’t worry about the ones on the list. These have been used by many people worldwide and are apps that will not compromise your privacy or security. For better results, try to get the ones with added features that you think you’ll be using as well. More importantly, get the app that all your other friends or people around you are using so that you won’t have issues contacting each other.